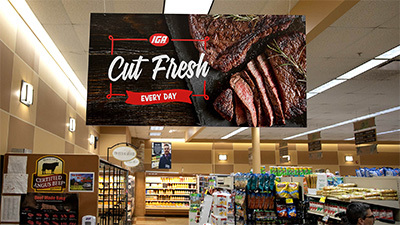 For more than a decade, DG Graphics has been IGA’s Red Oval printing partner for all your in-store branding needs, from promotional, shelf-level, and parking lot signage to case clings, recipe cards, floor graphics, and more. 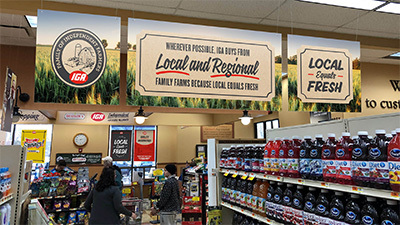 If you’ve received a Performance Insights kit, Five Star poster, or IGA Mega Mural, you’re already familiar with what DG Graphics does, and now, this recent winner of the Red Oval “Above and Beyond” award is your partner in outfitting your store with IGA’s most exciting branding initiative yet: Local Equals Fresh up-branding! 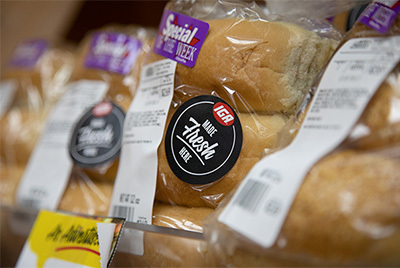 Want to learn more about the new Local Equals Fresh strategy? 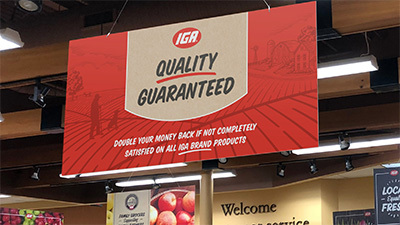 Click here to read about everything from the philosophy behind IGA's up-branding plan to execution in your store. 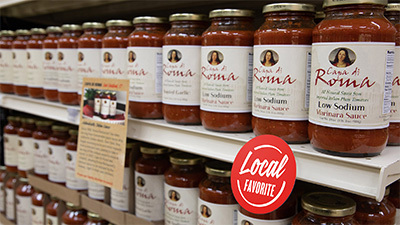 Ready to hear more about the specific Local Equals Fresh branding and merchandising resources available for your store? Take a look at the kit options, each of which will be printed and shipped directly from DG Graphics. 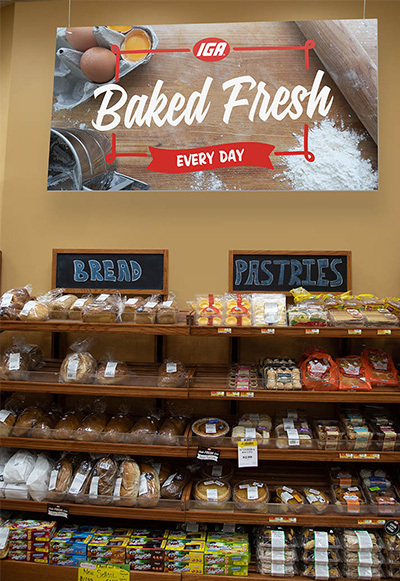 Launch kit: Featuring more than 150 high-quality, full-color printed pieces to help you tell your Local Equals Fresh brand story in every area of the store, from overhead signage and in-aisle messaging all the way down to the product level—all for less than $1,000 a kit (bulk pricing available). 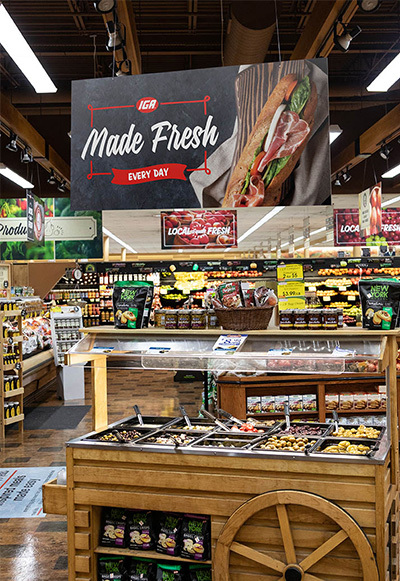 À la cart signage: Want to start small and build on? Want to add additional pieces to your existing kit? 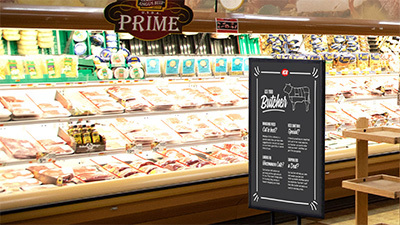 Pick from hundreds of signs that include templates to tell your shoppers about local farmers, providers, and store associates, as well as the local products made fresh every day in your store. Decor: Is it time for new decor or remodeling? 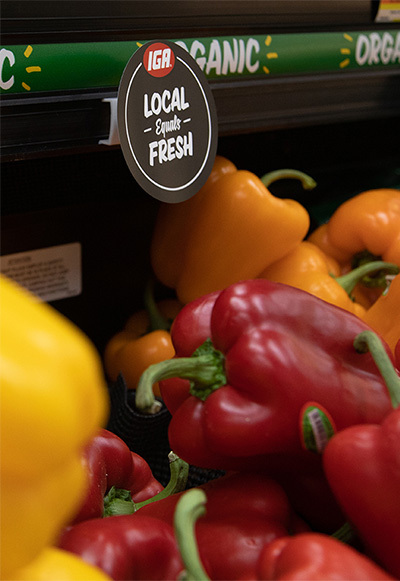 Choose from wayfinding solutions that support the "Local Equals Fresh" theme. 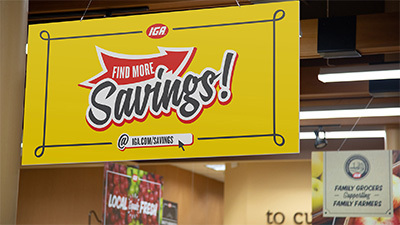 DG Graphics is excited to work directly with you to take all the options in IGA's new up-branding build and customize a Local Equals Fresh sign kit that will meet your needs. 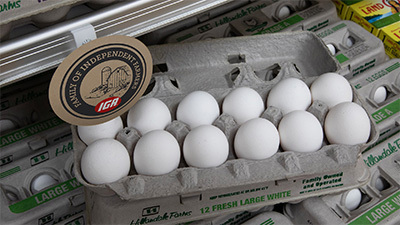 Visit www.iga.com/branding to order and learn more. 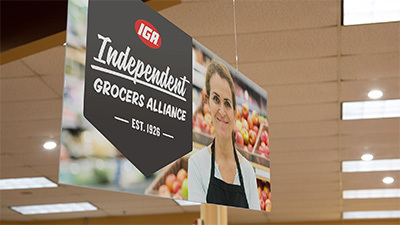 Take a look at a recent interview with Dave Marti and his associate Sean Cooney at the IGA Global Rally.